﻿ JLJ International Holdings, LLC. (JLJ) is one of the largest Nonferrous Scrap Metal Exporter in USA. 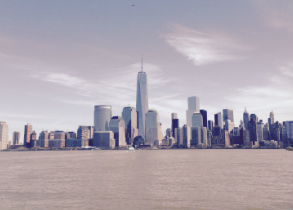 It is legally registered in the State of New Jersey and located at Exchange Place of Jersey City, which is across Hudson River from World Financial Center of New York City and convenient for all access including Path, Ferry and driving. JLJ export and trade 100,000 metric tons of various nonferrous metal scrap per year. JLJ is a member of ISRI (Institute of Scrap Recycling Industries) organization and approved as a qualified scrap metal exporter by China AQSIQ since the year 2006. JLJ mainly export nonferrous scrap metals to China, Hong Kong, Taiwan, India, Korea, Vietnam, Thailand and other countries and regions. We deal with a wide range of various nonferrous scrap metals for customers both US domestic and overseas. We provide full export services to our customers and vendors from professional deal making, in time hedging, efficient logistic handling, fast documentation, flexible and timely payment and supportive after sales service. Our customers and vendors network include lists of internationally reputable recycling companies, mills, smelters, regional and local yards. We treat both our customers and vendors with fairness. We value the relationship, hope to grow and develop our business with our customers and vendors together. All your interest and support is very important to us. Please contact us with any questions or comments.